Welcome to Raintree Gardens! Great value for this bright and beautiful 2 bed/2 bath suite with high vaulted ceilings! Tastefully updated inside with granite counters, stainless steel appliances, new tiles in the kitchen and bathrooms, LED lighting, high quality laminate flooring throughout and fresh paint. The suite also features a cozy gas fireplace, new Samsung in-suite laundry pair, a walk in closet in the master bedroom and a nice outdoor balcony off of the living room overlooking the courtyard. 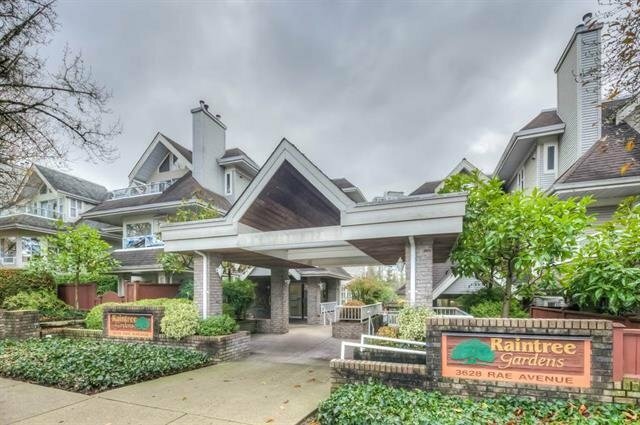 Convenient Collingwood location and easy access to Joyce Sky train, Metrotown and a number of nearby parks. Extra bonus of two parking spots and a storage locker!